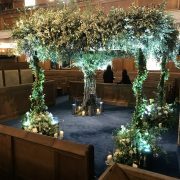 A wedding day is very special and HGSS remains one of the most popular in London as the venue of choice for those wishing to celebrate their chupa in a traditional Synagogue setting. 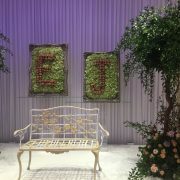 You do not have to be a current member of HGSS to hold your wedding here. 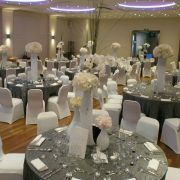 Please contact us on 020 8457 7041 to discuss how we can help plan your wedding ceremony. 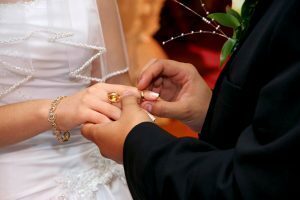 As well as booking the ceremony, you will need to obtain authorisation for your marriage both from your local authority Register Office and from the Office of the Chief Rabbi. Please feel free to speak to us and we will help you liaise with the various authorities. The former can be applied for up to 12 months prior to the wedding date and requires each of you to give notice at the Register Office in the Registration District where you live, of your intention to marry under the auspices of HGSS. You may need to book an appointment for this. The Register Office staff will advise what documentation to bring for this to establish your ID and single status. At the conclusion of the notice period (16 days) the Register office will issue each of you a certificate for marriage. This authorises the synagogue to register your marriage civilly on your wedding day and thus issue you with a civil marriage certificate. 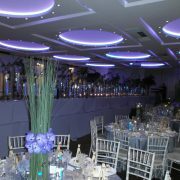 In addition you will need to have your marriage authorised by the Office of the Chief Rabbi. This should be done as soon as you have set the date, confirmed the venue and the officiating Rabbi. Please contact Marriage Liaison on 020 8343 6314 or email for further details. In straight forward situations, where both of you are marrying for the first time and are the biological children of parents who married under Orthodox auspices, you would need to provide your full birth certificates and your parents’ Ketubot (Jewish marriage certificate). If any key documents are not readily available, every assistance and advice will be given to help you obtain whatever may be necessary. If your parents were not married in an Orthodox synagogue, you need to go further back in the maternal line, bringing a Ketubah from your grandparents or great-grandparents on the mother’s side, together with full birth certificates, showing the direct connection to you. If there any other circumstances which you think may require further clarification, please contact the Office of the Chief Rabbi who will be able to advise you what evidence is required. English Law requires that the bride or groom must be a member of the synagogue that is responsible for registering the marriage for civil purposes. There will be two separate charges made for the marriage to cover the membership fee and the wedding fees for the chupah. The groom will need to fill out and sign a membership form and a marriage membership form (obtainable from the synagogue office). If you are currently a member, only a marriage membership form needs to be completed. If you are currently a member of another synagogue you will need to transfer your membership to HGSS (if only for the day) and again we are able to help complete all the formalities. If you are going to be living in a different area after you are married your membership can be transferred to another United Synagogue local to where you intend to set up home at no extra charge. The free extension year can likewise be transferred from one US member shul to another. Of course, you may wish to have your own Rabbi officiate at your wedding but please note that only Rabbis authorised by the Office of the Chief Rabbi are permitted to solemnise weddings.